What have Iron Octopus and Peaky Blinders got in common...? 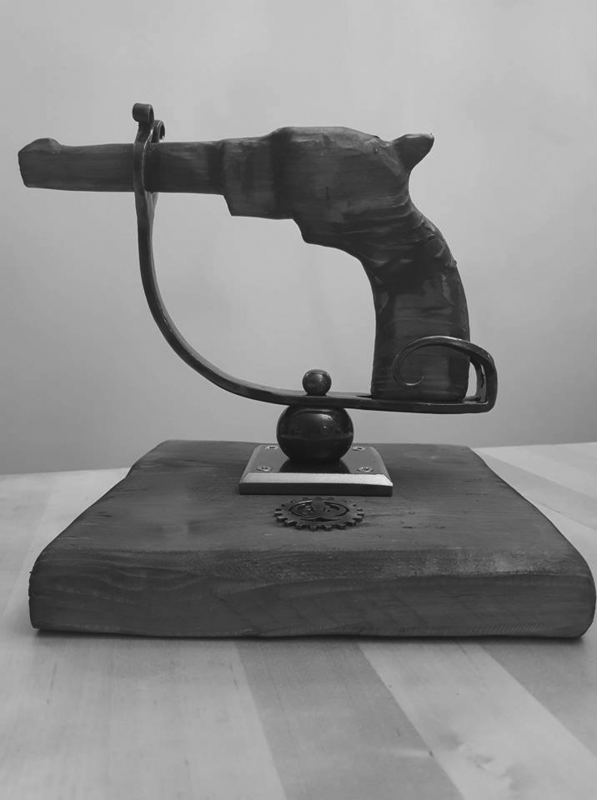 This wooden gun was hand carved and used in Series 2 of Peaky Blinders, and we were approached by the gun's creator to design and craft a bespoke stand to be a striking gift for their relative for Christmas. Using traditional forging techniques our incredibly talented in-house Blacksmith, Ian, hand-crafted this stand. We also made the wooden base to tie in with the gun, and topped it off with a simple steel silhouette of the Iron Octopus logo. Very proud to share the coming together of traditional and modern techniques to produce a fabulous one-off piece with such wonderful provenance.